When I came across this book, what piqued my interest was the title. Traditionally the idea of war has been a gendered construct – the focus has been on men. Their valour, strength and this domain has always been considered a male zone. And women have been seen as victims or the ones who suffer the consequences of a war. 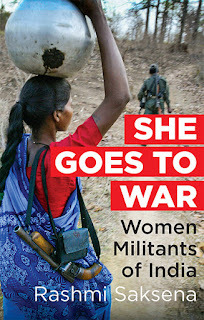 In the current milieu and what has been observed for the past few decades is that the idea of women being victims is slowly getting replaced, and as the first line of the introduction states, “Women have become an integral part of the insurgencies across the world, playing a crucial role in both covert and overt operations.” The book weaves together women militants involved in insurgencies in Kashmir, Chhattisgarh, Nagaland, Assam and Manipur and gives an insight into the warfare that women battle outside and within. The thorough research that has gone into the writing of this book as well as the personal interactions with these women that have found a place in these pages, helps a reader understand what goes behind making these women turn to the roles they take up; and the whys and the hows are all lined up to be heard. The book’s first chapter is based on Kashmir and maybe as a reader one is curious to know about and wants to read about first. The coexistence of beauty and horror cannot find a better example than in Kashmir. The setting for this chapter is the 1990s – Kashmiri women were no longer confined to their homes and were stepping out into the streets, protesting and demanding azadi. Till the early 90s, the role of women was limited in the azadi movement but the break in that tradition came with Ruhi (the names of all the women in this book have been changed as they were willing to share their stories on this condition.) The account that follows is a horrifying one. 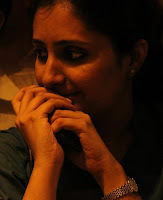 In her conversation with the author, Ruhi says, “Aap ne phirse zakham khol diye...” Such wounds cannot be healed even by time. They stay imprinted and can easily start bleeding again. Ruhi, wishing to be a full time soldier was easily persuaded to fight for the “caus” and crossed the LOC that runs between India and Pakistan. “There was such a madness for freedom that I believed that just by my taking up the gun we would achieve it.” What followed was a nightmare that Ruhi has been unable to forget. Exploited and taken advantage of, Ruhi returned home in 1991. Her story started discouraging women from taking up arms. The patriarchal mindset that women could only be used as facilitators and cannot take up guns prevailed. Many started providing information to the security forces to avenge the abuse they had suffered at the hands of the militants. 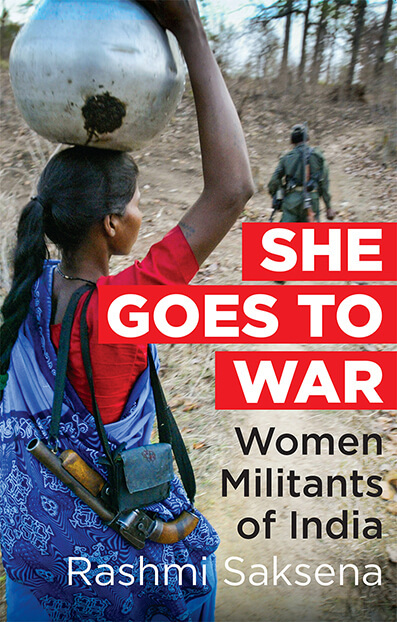 By mid-nineties, women were being recognized as providing logistical support to the militants. The author informs us that no Islamic militant outfit is known to date to have a women cadre. The belief that runs strong is that guns are not for them to have. The militants and the separatist leaders argue in favour of keeping women away from any tasks that will expose their body. While there is an adherence to the social norms set out for the Kashmiri women, the following chapter sheds light on women militants in Chhattisgarh who have a different story to tell. 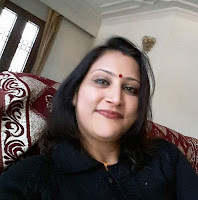 There is a tendency to bracket these women militants as coming from a certain social and economic background but Pranati from Assam breaks this perception. A school teacher and a postgraduate in Assamese language, she became a part of the political unit of ULFA. Disillusioned by the peaceful and democratic efforts by other organizations that did not yield desired results, this particular organization attracted her. She reacts when asked why she, an educated person chose a dangerous life with a banned outfit, by saying, “Are you trying to tell me that it is bad for the educated to fight for their country?” And one realizes that there comes a time in everyone’s life when one has to take a decision according to one’s thinking. That in a life’s journey there are so many things that can happen before one can reach one’s destination. For Manu, joining NDFB (S) outfit was a place away from the drudgery of home; the humiliation of being made to feel unwanted. At the camp, she felt welcomed and made to feel a part of the family. The book attempts to record accounts of different militant women; there are no stereotypes created through these instances, rather, there is an attempt to take a look at these women from a fresh perspective and provide useful insights into how instead of dismissing these women off as only militants, one needs to look inside to see what goes on in their minds and in their hearts when they have to make such decisions – either on their own or when influenced by others. While Manipur has a large number of women ultras, they refuse to be written about. These women have by their own strength conceived and fuelled protest movements that have been of historical significance. In one of the operations, Purnima realized: “It struck me then how women want to save lives and here I am, a woman, killing people without a thought.” Why this book stands out in the present context is because of the sensitivity with which this topic has been dealt with. Thematically, this has been explored in several books but to have conversations with these women to try to understand the nuances of what it takes to be a woman in such situations/ circumstances has been well documented. The women profiled in this book, as the author points out, come out as strong and independent women who are in charge of their lives. It has been their decision to be a part of this book although several were advised by their men folk to not do so. All of these women are now focused on finding a means to put their lives together after exiting the insurgent camps. One has to remember that the mindset of women cadres is not similar to those of the men who are enlisted. The need of the hour, especially in a country like India, is to study their motivations, aspirations, the work assigned to these women as well as their longing for a life beyond a furtive one. This book opens a window into their lives and it is time we take a look.